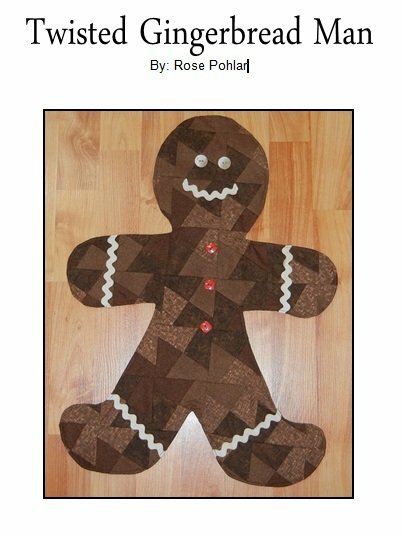 Twisted Gingerbread Man pattern using the Lil Twister ruler for the 5 inch squares. Free Standing. Retail and Wholesale orders welcome!